Many of the people I know complained about the high costs, sporadic scheduling, and general mistrust of taking their vehicle to the dealer or a local garage for repairs. I noticed that most of the repairs and maintenance that most people needed could be done without an entire garage full of tools and equipment – in fact, the garage itself wasn't even necessary! Spring Mobile Auto Repair can help you with any repairs or preventative maintenance your car or truck may need, including bodywork, collision repair, paint, modifications, emission standards, and much more. Give us a try today! Spring Mobile Auto Repair is the only on-the-spot auto maintenance and repair service in the Spring, TX area. Whether it is a roadside emergency, a dead battery at home, or an oil change at the office while you work, consider us your personal repair service on wheels. We are fully licensed in TX, also other cities and can take jobs scheduled weeks in advance or on short notice. We can work on virtually any make and model, and buy only quality parts at wholesale prices through our partner network. Plus, even though we come to you, our labor prices are generally lower than going to a garage. 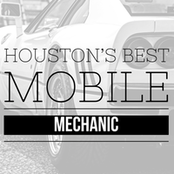 Spring Mobile Mechanic: 713-497-1202 Mobile Mechanic Spring, TX.